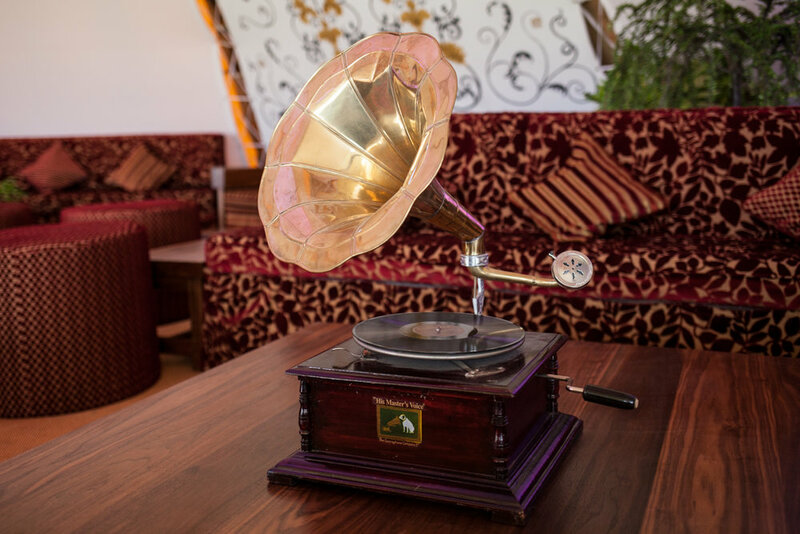 From furniture to lighting & soft furnishings through to our cocktail bars, every item we use has either been handmade or carefully chosen with synergy in mind. 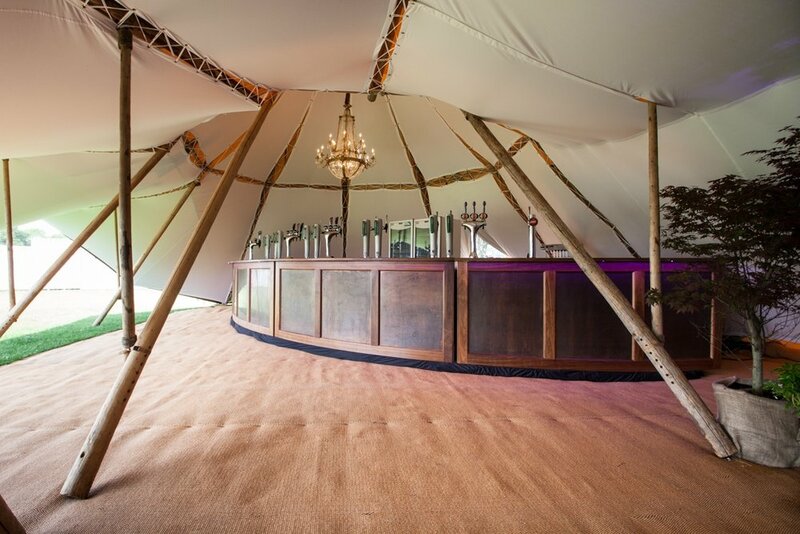 We’re proud of what we’ve created – a collection of bespoke interior products designed from the ground up to compliment our Tipis. Cut from a single Black American Walnut tree our lounge furniture has been lovingly crafted as beautiful one-off pieces by talented artisan craftsman. 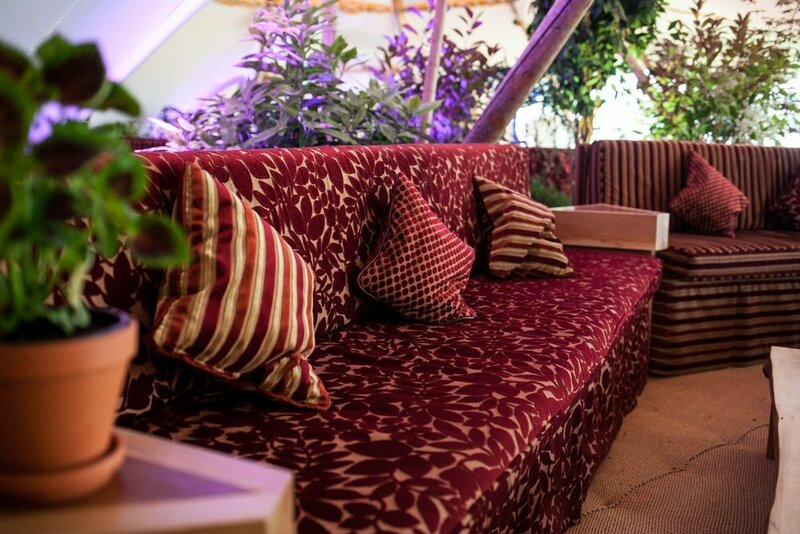 From furniture to lighting & soft furnishings through to our cocktail bars, everything we offer works together perfectly. 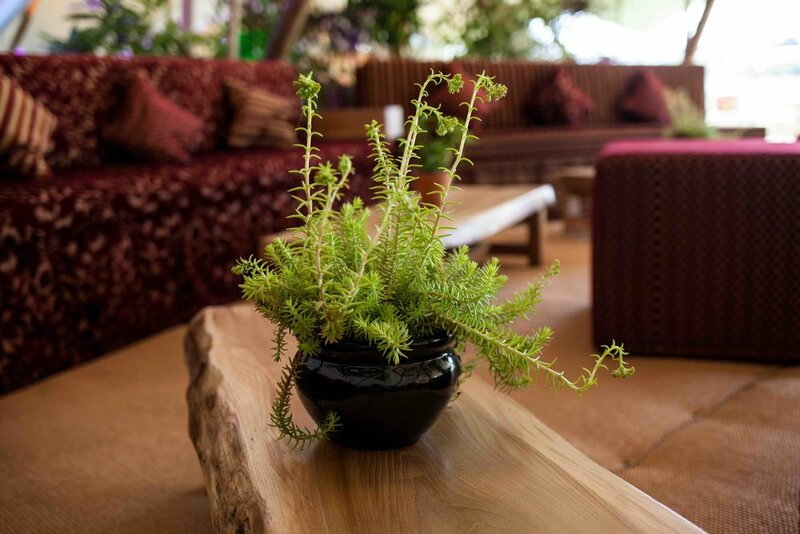 We focus on delivering understated elegance so your guests can relax in comfortably luxurious surroundings. We’ve taken a holistic attitude to the interior décor so that the space feels warm and welcoming without being overbearing. 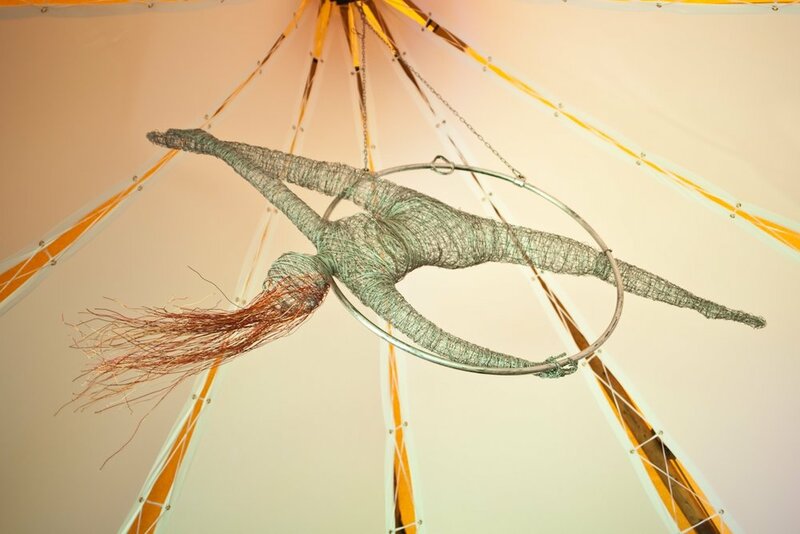 The interior has an attractive and balanced aesthetic, with unique art commissions in the form of wire sculpture, complimentary screen printed fabric and even a free standing life like cherry tree. Upholstered in a plush fabric our sofas are soft to the touch and impossible to resist. Each comfortably seats 4 - 5 people and is complimented by large matching poufs. For seamless extended seating, multiple sofas are connected by copper patina surfaced side tables. 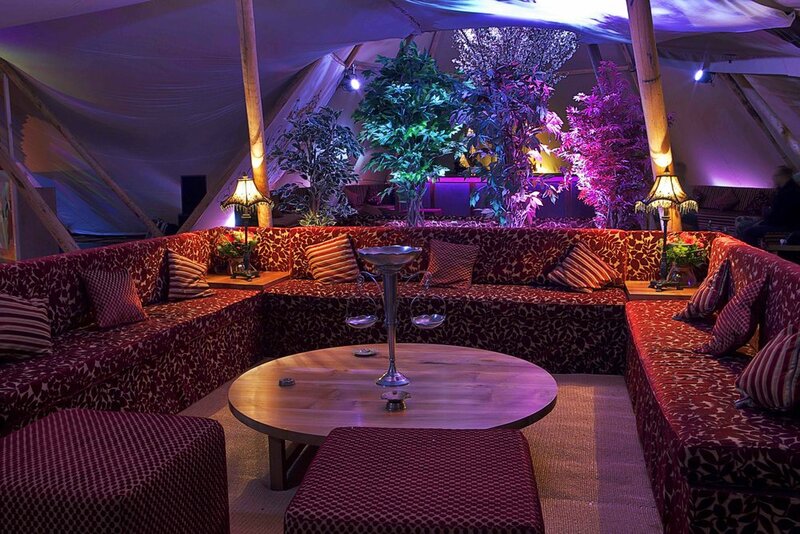 Designed and custom built for Katah Events the sofas and poufs can be used to create individual lounge areas throughout the Tipi, maximising space without compromising comfort. A combination of three sofa benches, a circular solid elm table and two poufs create a discreet 17 seat booth. It’s a self contained space perfect for guests to sit together as a group. With a distinctive, wavy, natural bark edge, our low-slung tables offer an impressive adornment to the seating areas. Hewn from solid 2” cross sections of elm and walnut, each table was individually built by our in house artificer. 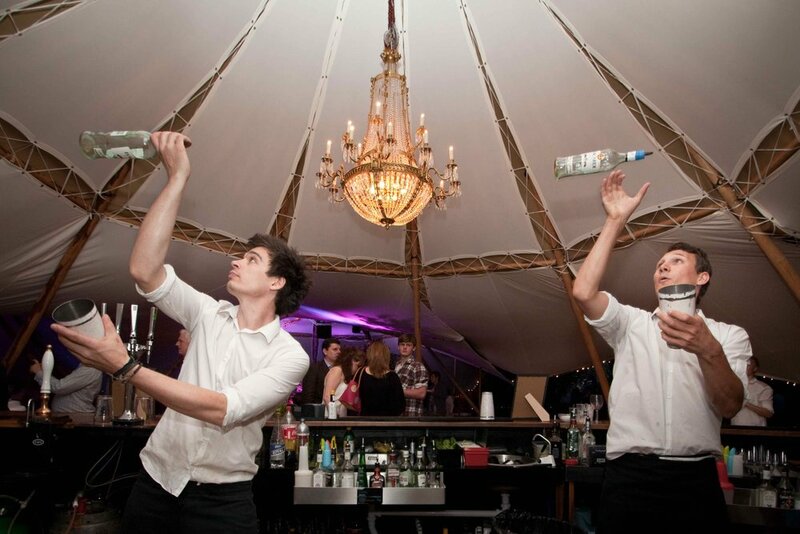 For many events the bar is an important focal point. We felt it was crucial to do the bar area justice and elevate it from a functional worktop to something more engaging. The result is our pièce de résistance! 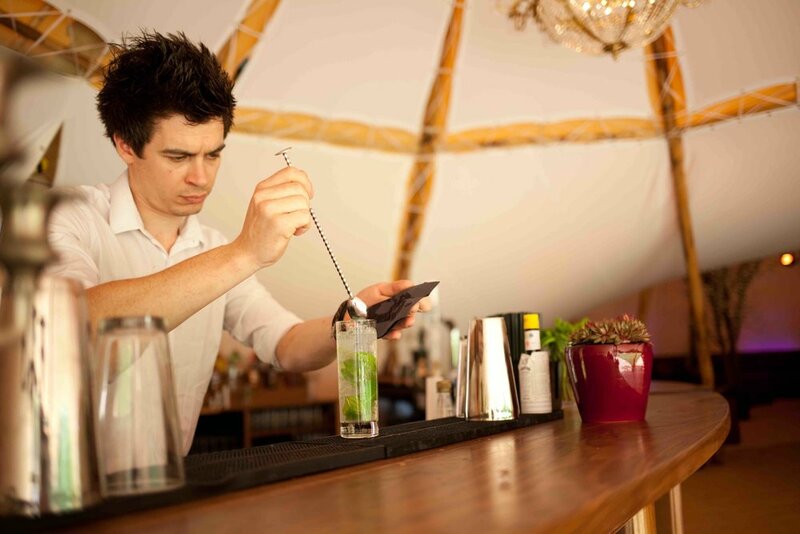 We have several size options depending on your chosen layout, each available in classic draught or contemporary cocktail formats. Our draught bar comes with an under counter bottle fridge and optional 4 font beer pump. The cocktail unit offers a wide range of functionality featuring a speed rail, ice well, bottle dump and working sink. Echoing the lounge furniture, the bars are made from solid walnut and beautifully finished with matching copper patina panels. 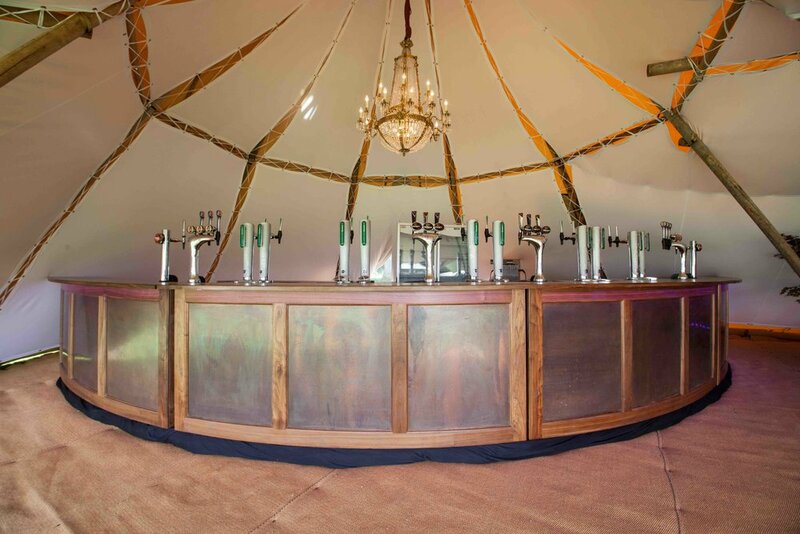 Each unit is designed to specifically work with the Tipi’s curvature, cleverly maximising space both behind and in-front of the bar. An embedded lighting system can be set to a variety of colours elegantly finishing the bar structures. 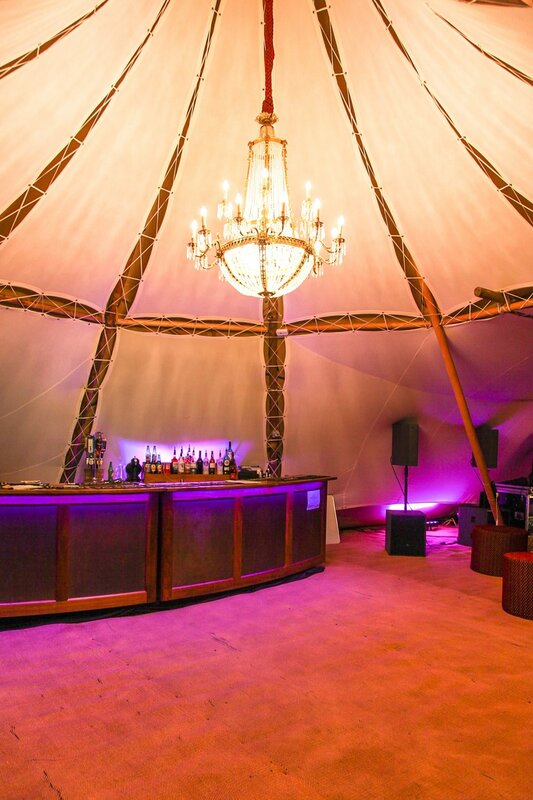 For clients who’ve fallen in love with tipis but want a more sophisticated look, interior linings are the perfect way to change the venue from rustic chic to elegant luxury. We pride ourselves on being the only company who offer this exclusive addition. Our in-house textiles department has painstakingly designed and manufactured these beautiful linings to match each tipi combination available. Sewn from the finest heavy weight white cotton, each panel is hand laced crisscrossing the poles. 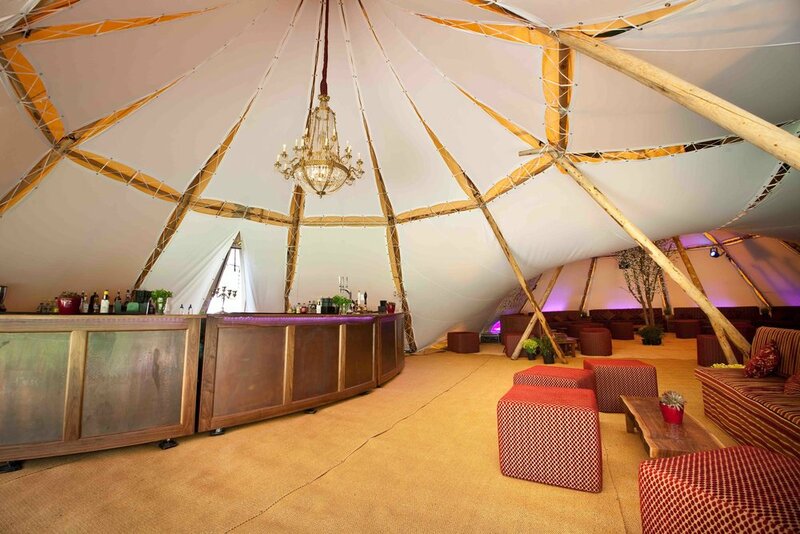 This accentuates the beautiful wooden framework of the Giant Tipi. 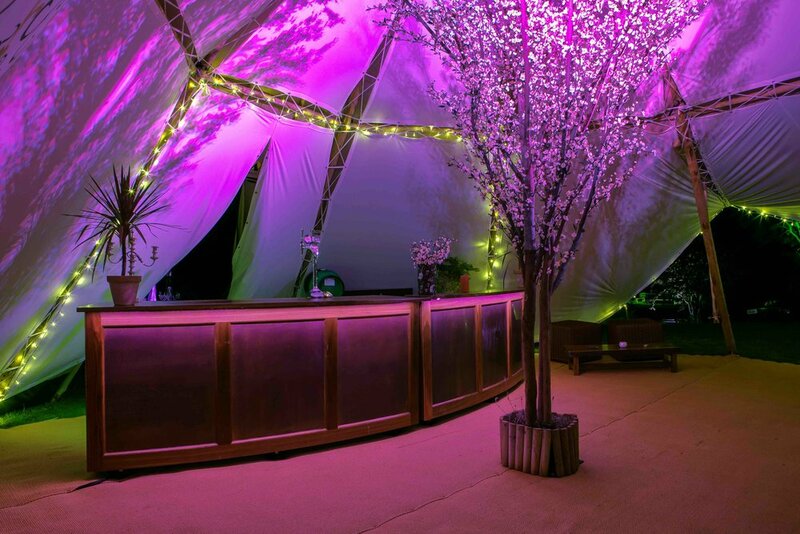 Combined with our stunning furniture and bars, the linings add a new dimension and elevate our tipis to a level you won’t find anywhere else. 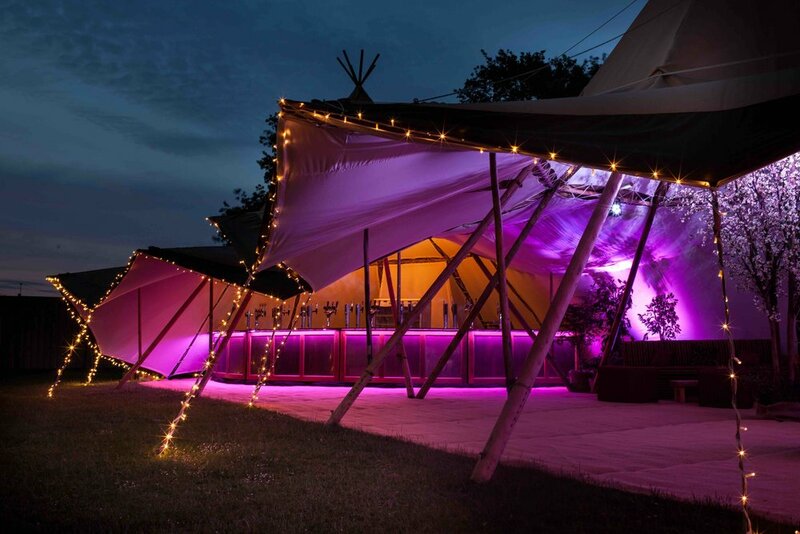 For events which run into the evening outdoor lighting is a great way of extending the atmosphere from inside the tipis to the surrounding landscape. Features such as trees, porticos, balustrades and buildings are ideal for feature lighting with flood, fairy and candle lights. Whether it’s a chic white theme or a rainbow of colour we offer a wide range of options to light up the surroundings complimenting any aesthetic or mood. We offer numerous lighting choices, based on equipment we know works well there are options to match every style of tipi interior. 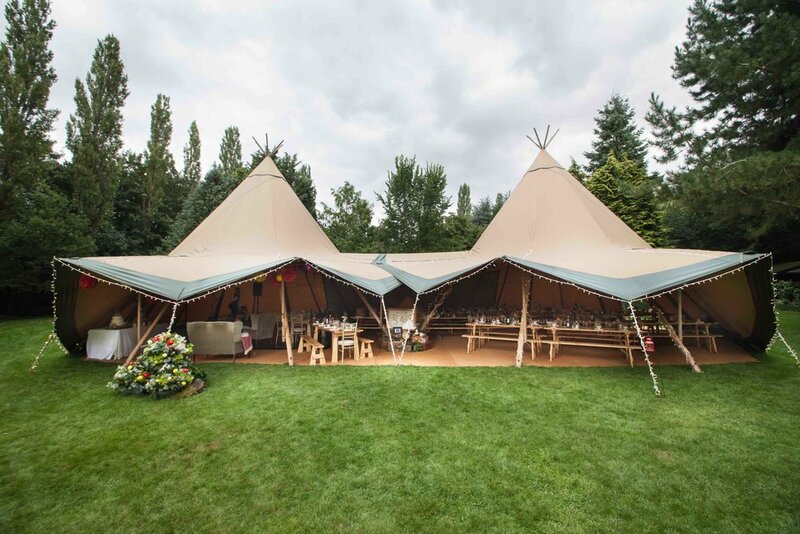 Simple yellow up-lighters create a dramatic effect illuminating the apex of each tipi while delicate fairy lights twinkle to provide a warm atmosphere inside. Spot lights and ‘par cans’ can be positioned to create pools of light on tables and other stand out features. 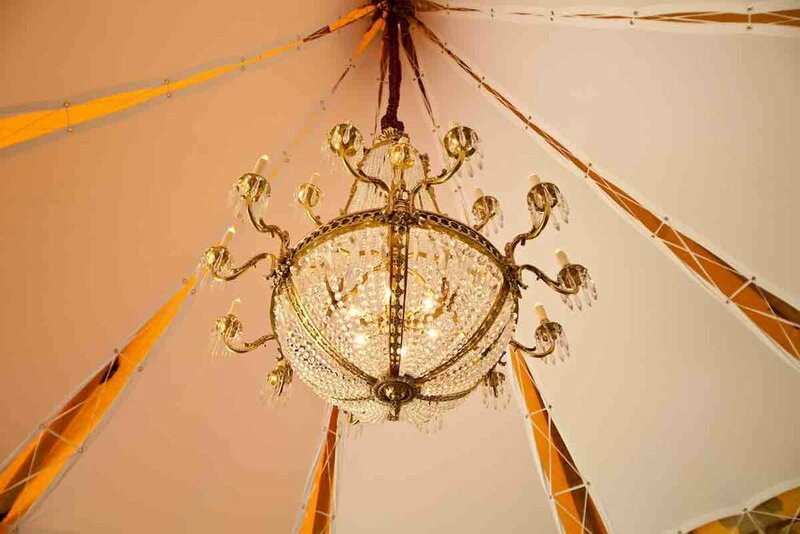 For events based around our luxury furniture range we offer vintage cut glass chandeliers. Rescued from a 1920’s manor house these authentic pieces can be dimmed to the mood and offer perfect illumination for our lounge spaces. In addition to warm ‘filament bulb’ lighting we can install LED units which provide an endless array of colours. These lights can be set to provide a constant, static, colour or made to slowly fade through the spectrum making the tipi’s feel alive. Food is often the heart of the occasion, and the surroundings set the tone. 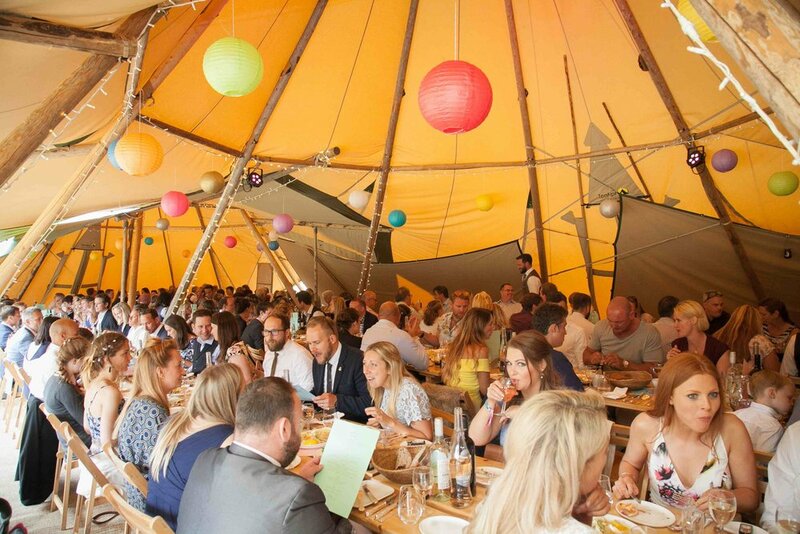 Our giant tipis make beautiful dining spaces. 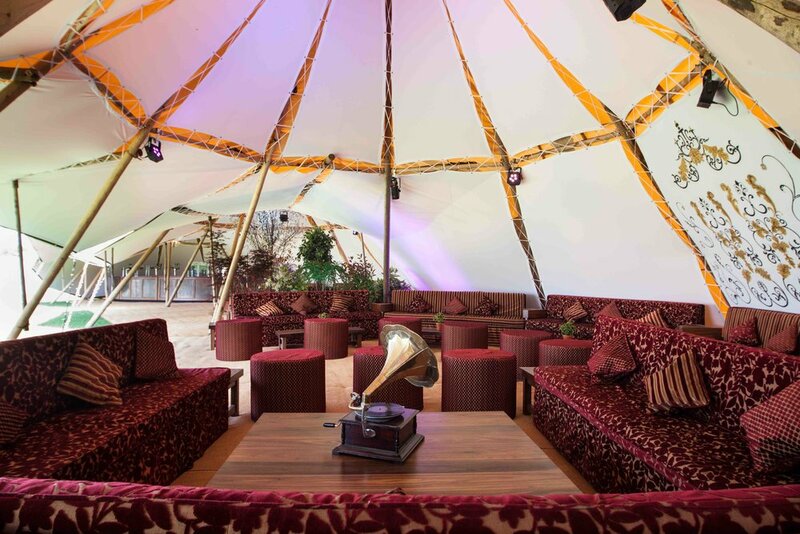 We offer options ranging from the sophisticated luxury feel of our lounges to casual stripped back furniture highlighting the tipis’ rustic charm. Get the party started or create a more formal affair with configurations to suit the mood of any event. From 50 to 450 our dining options are flexible no matter what the requirement. Our eco-friendly pine furniture is built in Sweden from sustainably managed forests. Each rectangular table measures two metres long and is constructed from chunky, durable pine staves. The tables are complimented by matching benches, each seating three to four guests. Alternatively, the pine tables can be used in conjunction with a range of chairs and matching seat pads. For events which require a more formal dining arrangement we suggest using 5’6” round tables with matching chairs. 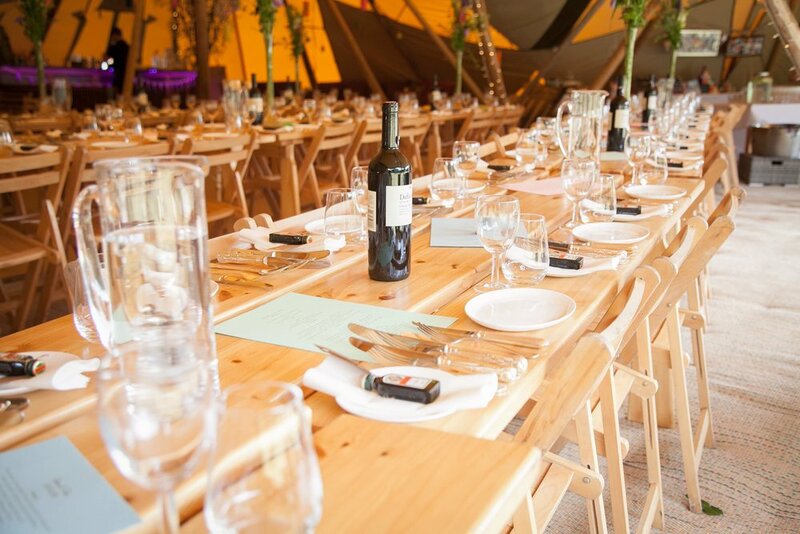 A table seats eight to ten people and each Tipi accommodates five to six tables depending on the overall configuration. We offer a broad range of chair and linen options ensuring the dining area is tailored to your taste.